North Harris is a unique and important place for wildlife and the open landscape provides excellent opportunities for viewing many species of bird, animal and plant. Many of the area’s most spectacular wildlife encounters can be experienced close to roads and paths through the estate. The area hosts many different habitats ranging from alpine grassland on high mountain slopes to machair, sandy beaches, and deep sea lochs. June to August is the best time for flowers when the machair at Huisinis provides exciting exploration for botanists and novices alike. The bogs are also home to a unique flora where carnivorous plants such as sundew and butterwort can be found, whilst the wet climate of the higher hills provides ideal conditions for several rare moss species. 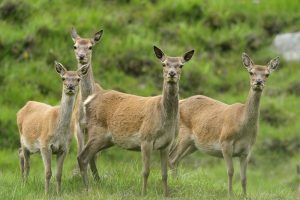 There are relatively few land mammal species that have reached the island, but those that do occur are some of Scotland’s most iconic species, including mountain hare, otter and red deer. 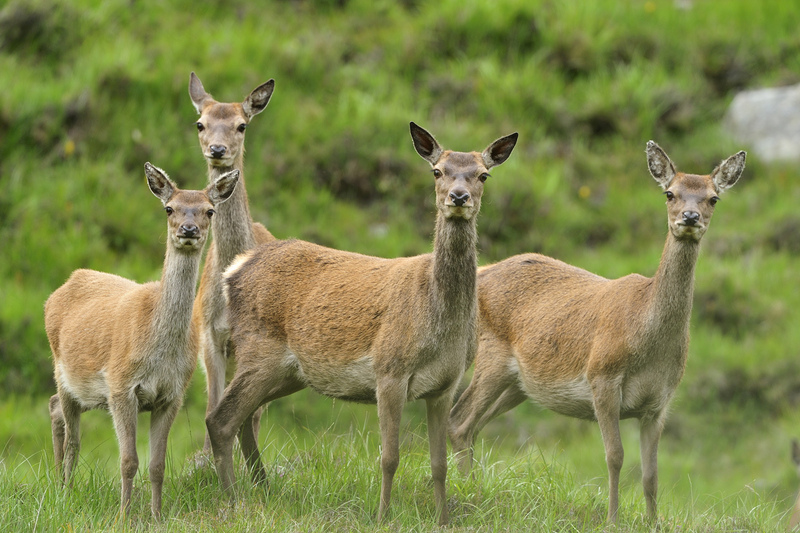 The North Harris deer herd is thought to be one of the most pure red deer herds in Scotland as they have not interbred with the non-native Sika deer which has spread through large areas of the mainland. The more remote glens in the North and West of the estate are the best places to find deer. However, mountain hares can be elusive, usually staying on the high ground throughout the year and often sheltering behind boulders or peat banks during the day to avoid predation by the golden eagles. Otters are common throughout Harris and can be seen on almost any stretch of coastline. Look out for their prominent spraint sites that they use for ma rking their territory. There are good chances of seeing some of Scotland’s most exciting bird species; particularly golden eagles which can be seen almost anywhere on the estate. Eagles are most active in bright breezy conditions and patient scanning of the skyline gives the best chance of spotting this spectacular predator. Other moorland specialities include golden plover, greenshank, snipe, stonechat, wheatear, merlin and red and black-throated divers which are easiest to find between May and August during their short intensive breeding seasons. In addition two common bird species, the wren and song thrush have been isolated from their mainland counterparts for many generations. Over time they have adapted to local conditions resulting in small changes in their appearance and habits and they are now recognised as Hebridean sub-species. 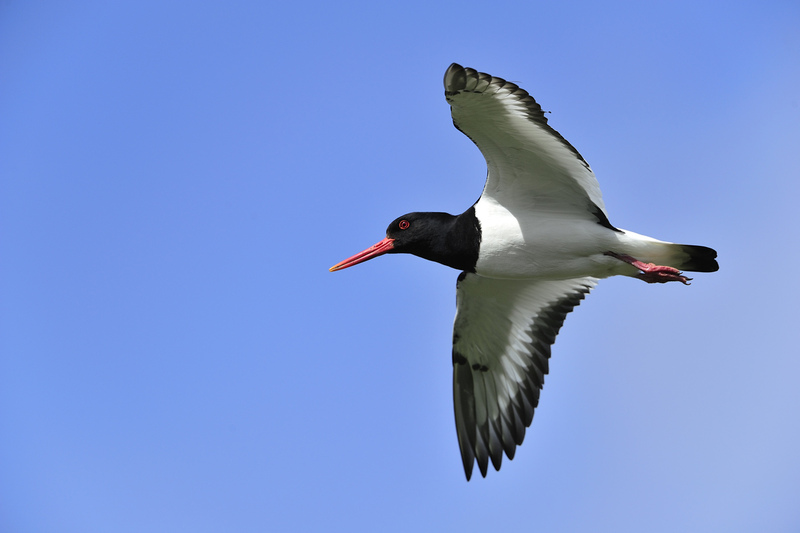 Coastal areas are also great places to discover wildlife. The seas surrounding Harris are particularly rich in marine life. The offshore islands of St Kilda and the Shiant’s hold globally important colonies of seabirds such as guillemots, razorbill, puffins, fulmars, and gannets. 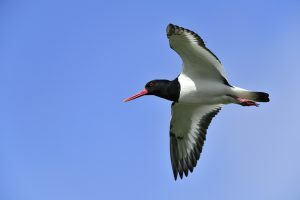 These bird species can often be seen from the Harris coastline on their daily fishing trips from their breeding grounds. 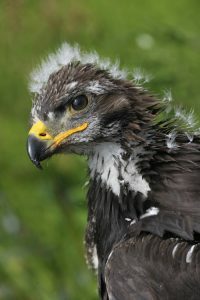 Basking sharks and several dolphin and whale species also frequent coastal waters during summer months and the keen observer may be rewarded with the sight of the rare sea eagle which now breeds on North Harris. As a good introduction to Wildlife in Harris, we have created a handy colour guide with maps showing the best viewing locations. This is available through the Trust Shop. For further information on Western Isles wildlife and recent sightings contact the North Harris Ranger via email or visit http://www.western-isles-wildlife.co.uk/.